Two days after the resignation of Lin Chuan and his cabinet, Taiwan gets a new premier today. 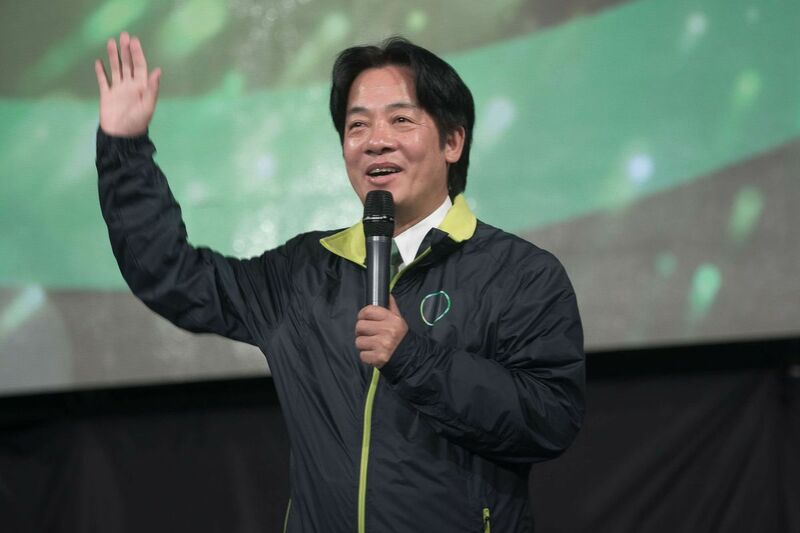 William Lai, the high-profile mayor of Tainan, will assume the second most powerful office, tasked with boosting President Tsai Ing-wen’s popularity. Poll numbers paint an ugly picture for the pro-independence president. Her approval ratings fell below 30% in August amid controversial pension cuts, a massive power outage and tensions with China. A fresh face to lead the cabinet, William Lai will push to implement infrastructure projects and stimulate Taiwan’s ‘pillar industries’—the Internet of Things, biotechnology, green energy, smart machinery and defence. But Mr Lai has little control over foreign policy, an arena in which President Tsai is all powerful. Her refusal to acknowledge the one China principle last year resulted in Beijing cutting communication with Taipei. If Tsai proves unable to turn around dismal approval ratings, the new premier may well find himself as a favourite to contest the pro-independence DPP ticket for the 2020 elections. While this may be good for DPP’s election prospects, such an outlook suggests infighting between the president and her own deputy, which threatens to stall the domestic reform agenda.